Seeing any leopard at Londolozi is special, but every now and again these secretive cats open a window into the most private part of their lives and allow us to view them with their cubs. 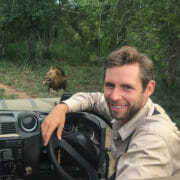 Currently, it is the Mashaba female that is hogging the limelight, as her single young cub has begun to relax far more around the vehicles and sightings of the two of them together have become far more frequent. 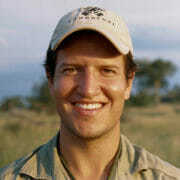 We were incredibly fortunate to see the cub when it was tiny, still blind and in a den-site in the Sand River. 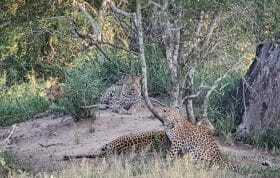 At least two cubs could be made out in the dark shadows of the Spike-thorn thicket that the Mashaba female was keeping them in, but in the two months that elapsed until the current cub was seen again, its sibling disappeared. We are not sure of its fate, but a number of lion tracks in the river around the time of its disappearance are a strong hint as to what happened. The good news is that the remaining youngster is being seen more and more by the Londolozi rangers and its confidence continues to grow. It is wonderfully relaxed when only one vehicle is present, but as soon as a second Land Rover arrives, the cub becomes shy again, and as a result we are generally keeping it to a one-vehicle sighting as the cub has not encountered enough vehicles in its short life to be completely trusting of them. 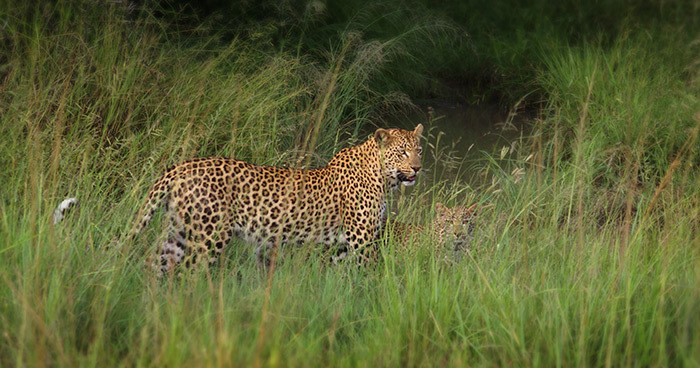 The beauty of this saga is the fact that the Mashaba female herself was viewed for the first time as a cub of about the same age or even a bit younger, walking side by side with her mother, the famous Vomba female, along the very same pathways that she is now leading her cub along. 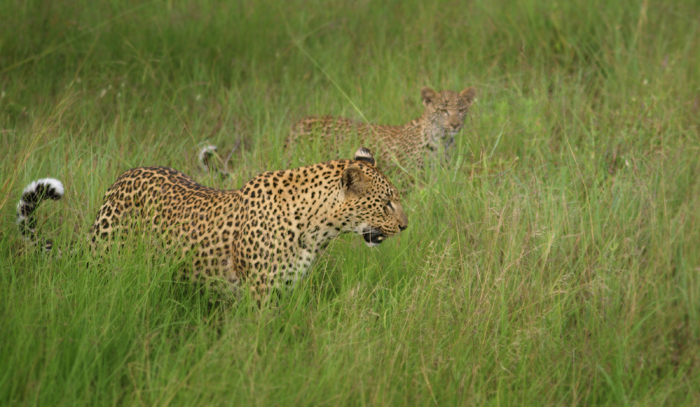 As a member of the guiding and tracking team here, it leaves one with a deep sense of privilege and wonderment to bear witness to this cycle of growth and birth among the Leopards of Londolozi. Has the Mashaba Female Forgiven the Ndzanzeni Young Male? Great post James! Awesome commentary with the pics! Good job. What lovely eyeliner she has ! Awesome post! It was lovely seeing her with her cub over the weekend. Got some lovely clear photos of both of them on an ant hill grooming which I’ve emailed onto Dan. 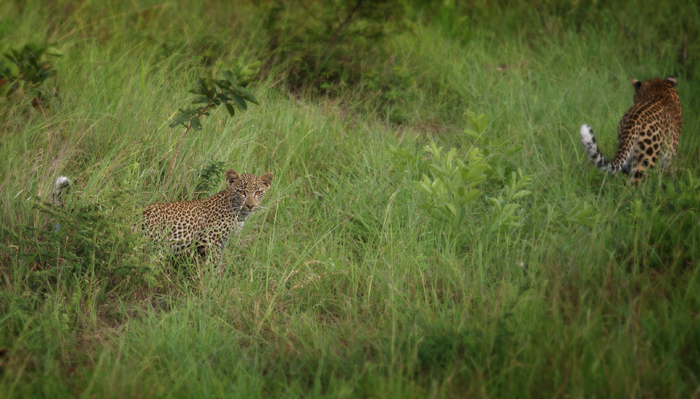 Such stunning cats at Londolozi! Great story. I hope this cub will make it to adulthood. Tell the girls I’ll see them in a couple of week. 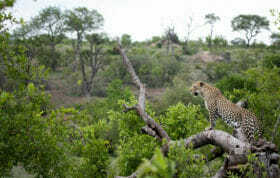 Can’t wait to be back at Londolozi!!! They are so beautiful! Thank you James! Lovely photos from Bennet….well done! Unbelievable! 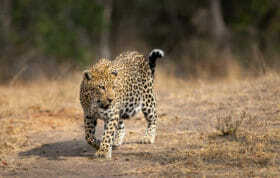 Mashaba, greatest leopard of all time! Great pictures as usual Bennet. Thanks so much! I am following the blog on a regular basis since I came back. Please say hello for me to Alfy, Georgia and Richard! My parents and I had such a wonderful time with you all!! !